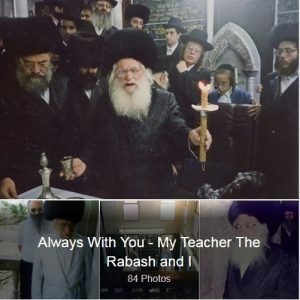 My teacher, Rav Baruch Shalom HaLevi Ashlag (The Rabash), was unique in his generation; a hidden Kabbalist whose only goal was to educate a new generation of Kabbalists by developing a spiritual method that would suit every person in our generation. I followed him wherever he went and aided him in every way I could. Upon his passing in 1991, I continued my teacher’s unique path. I established a group of Kabbalists, and named it after him – “Bnei Baruch” (the sons of Baruch). Over the years Bnei Baruch has become an international movement made up of hundreds of thousands of students in Israel and around the world, who study the authentic sources of Kabbalah and share it with the world. By implementing the Rabash’s method, we can discover the complete, eternal reality that has been revealed to Kabbalists of all generations. Have a look at the photos I’m publishing for the first time, from my earliest days of studying the wisdom of Kabbalah.